I have been asked many times how I go about shooting my landscapes so I figured now is the time to break it down on the blog. Keep in mind, there are many different ways to go about shooting scapes, but I am focusing on what works for me and the enjoyment I get out of it. 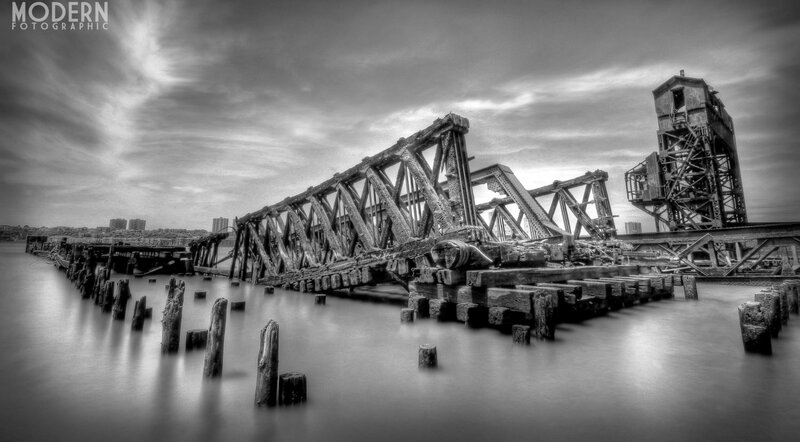 Some photographers use HDR or manual exposure blending to balance the light but that just isn't my style. 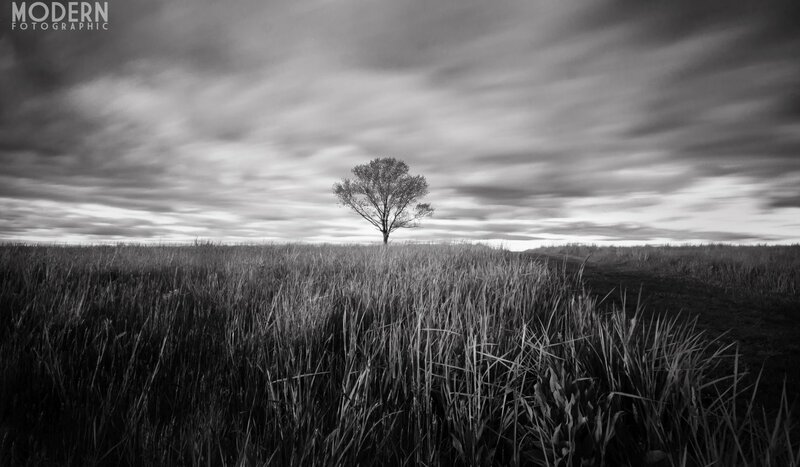 I prefer to use traditional photography techniques by using on camera filters to balance the exposure between the sky and ground. I really find enjoyment in going out in the field, at the right time of day, and waiting for the perfect light to capture a scene rather than sitting behind my computer and 'fixing it in post'. Turd polishing if you will. I will try to cover all bases but if you feel that I've left something out or you are unclear on something, please leave a comment and I will try my best to address it. 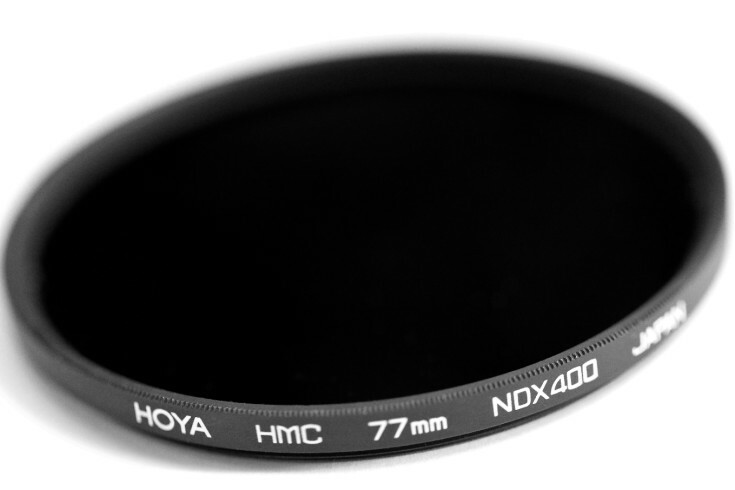 What is an ND Filter? 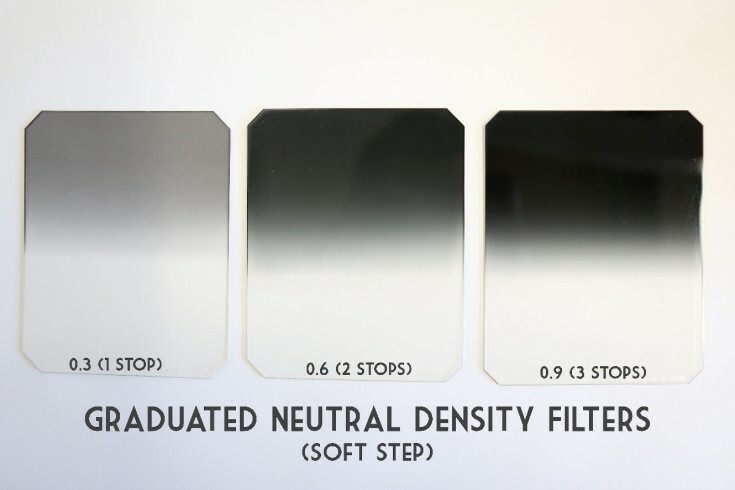 An ND filter (neutral density) is a filter that blocks out light in certain increments or stops. They come in many different varieties. 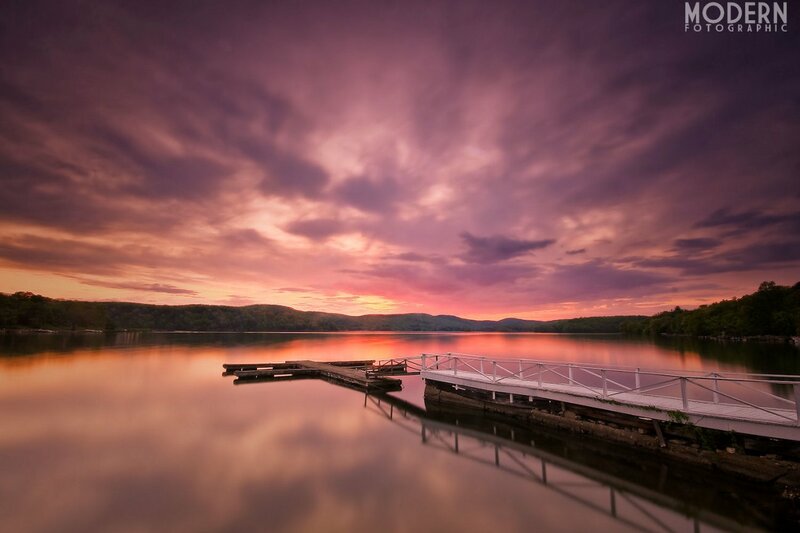 Generally, for landscape photography a neutral density filter is used to block out light in the sky portion of the composition as the sky is usually much brighter and it acts to balance out the exposure throughout the frame. Full ND- A filter that has solid light stopping power throughout the filter range. 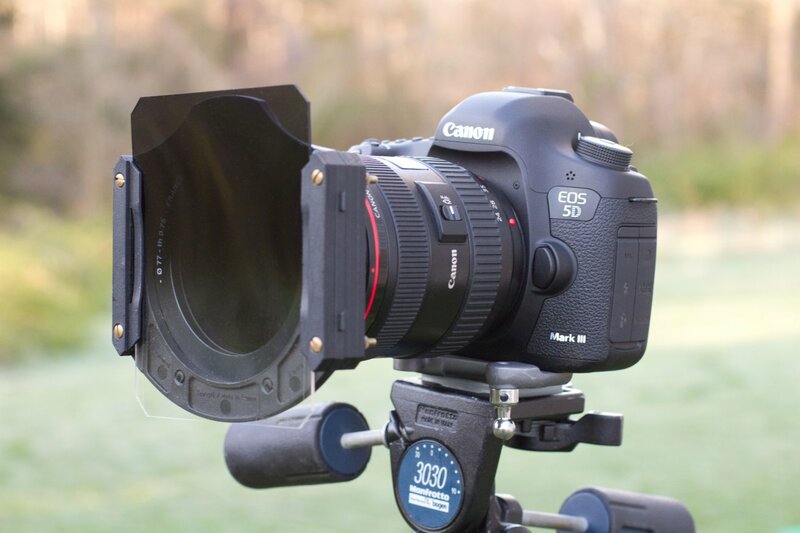 Here is a full ND filter pictured below. 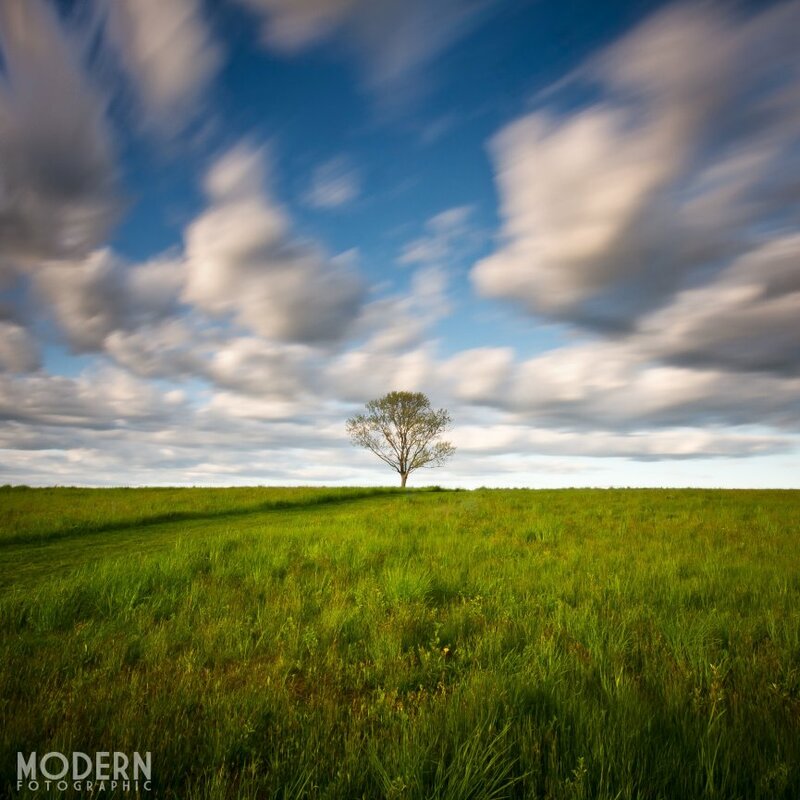 In this case, it's a 9 stop ND for extremely long exposures in broad daylight. 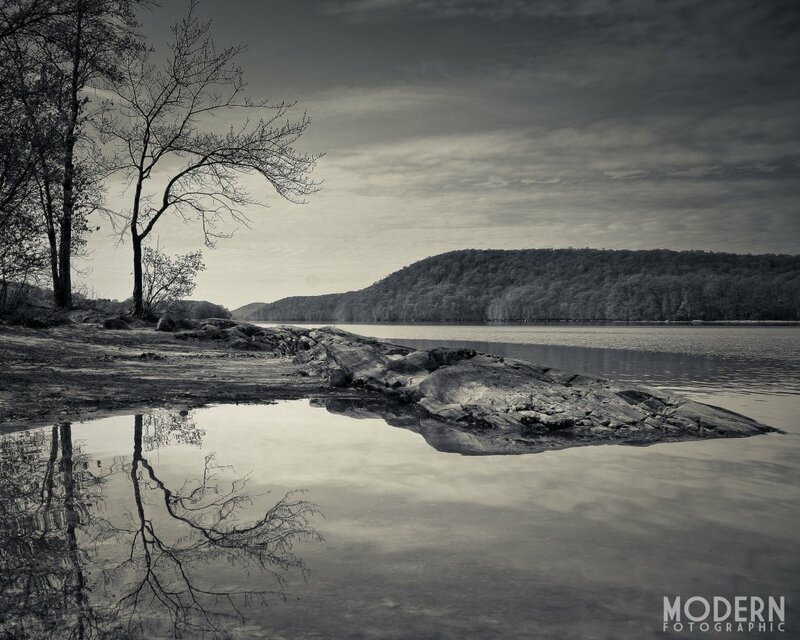 I use a set of soft grad ND filters (.03 (1 stop), .06 (2 stops), .09 (3 stops) with my modular filter holder. 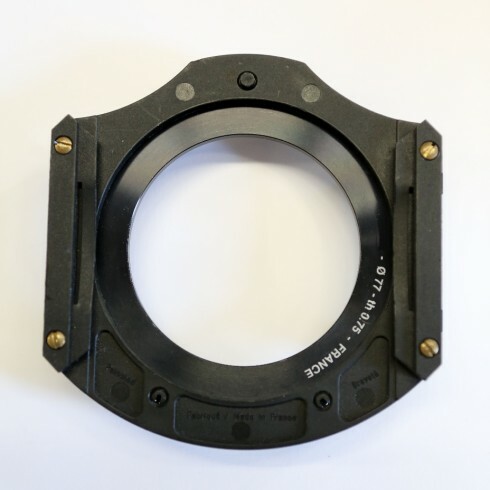 The modular filter holder has a screw in adapter ring, and the filters slide in which is great for adjusting the horizon line to match the nd blend on the filter. If you are trying to balance out 5 stops or more of light, you shouldn't even be out shooting scapes. The light is ugly, go home and read a book. When shooting scapes, use a small aperture. You want the greatest depth of field. Shutter speed really isn't a priority here, this is why we use a tripod and remote shutter release. Composition is key. Sometimes setting up shot can take a while, be careful that your horizon is dead on straight to avoid cropping your carefully composed shot in post. While composing, set your focus and then set your focusing button to manual to avoid soft focus while attaching your filters. (This will come in very handy when doing long exposures and night photography, it's a good habit to get into). Use your cameras AEB function. (Auto Exposure Bracketing) This will help you to be certain that you nailed the perfect exposure with no blown highlights and evenly exposed shadows. An interesting landscape has 4 major components: An interesting foreground, leading lines, flattering light, and dramtic sky elements. Consider your camera height/angle. Sometimes lowering your perspective will put your horizon in a more visually appealing height within the frame. Play around, have fun, experiment. I'll leave you with some of my landscape images using these tools and techniques along with the EXIF info. I hope you enjoyed this blog! 10mm, f/22, 30 seconds. 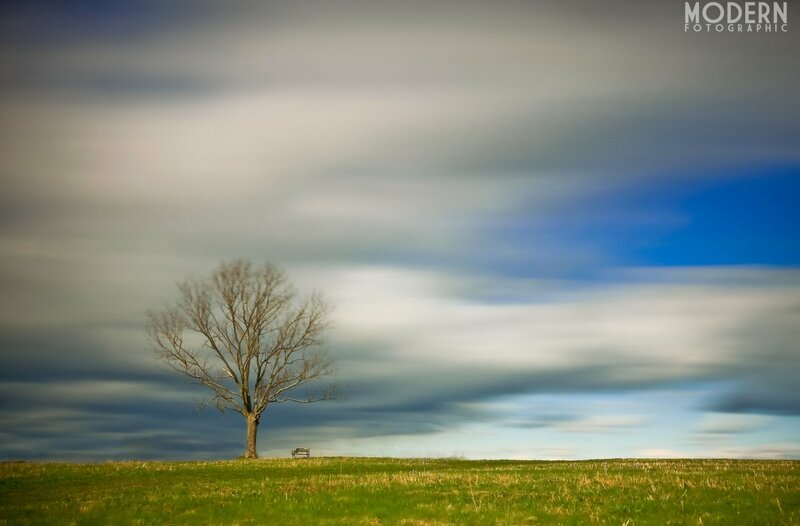 9 stop full nd + .09 (3 stop) grad nd. Just before sunset. breaking the rule of thirds here. 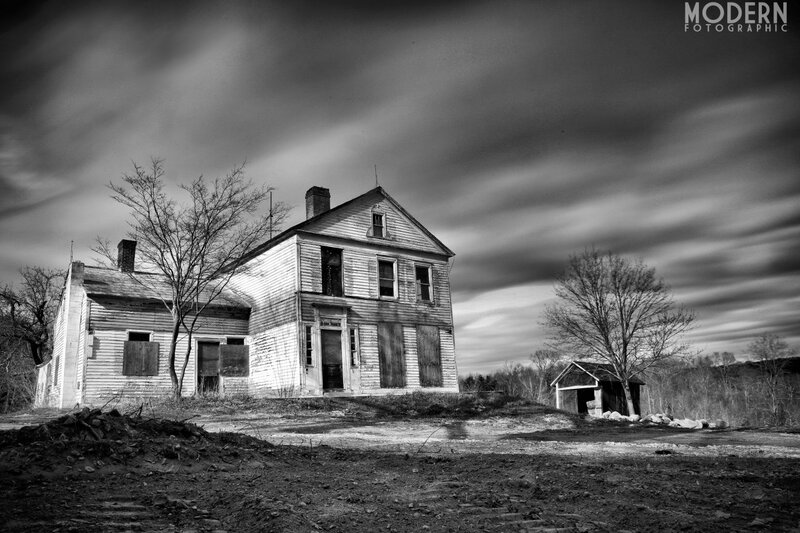 10mm, f/13, 70 seconds. 9 stop full nd + .09 (3 stop) grad nd. Sunset. 10mm, f/22, 20 seconds. 9 stop full nd + .09 (3 stop) grad nd. Midday, overcast. dave noonan - Thank you for the comments! Glad that you found it informative!!! carla ten eyck - Lots of great info here!! And amazing images as well! Jacek Dolata - Thank you Dave. Nice reading with awesome examples! Meg - Awesome post Dave! And of course-BEAUTIFUL images! 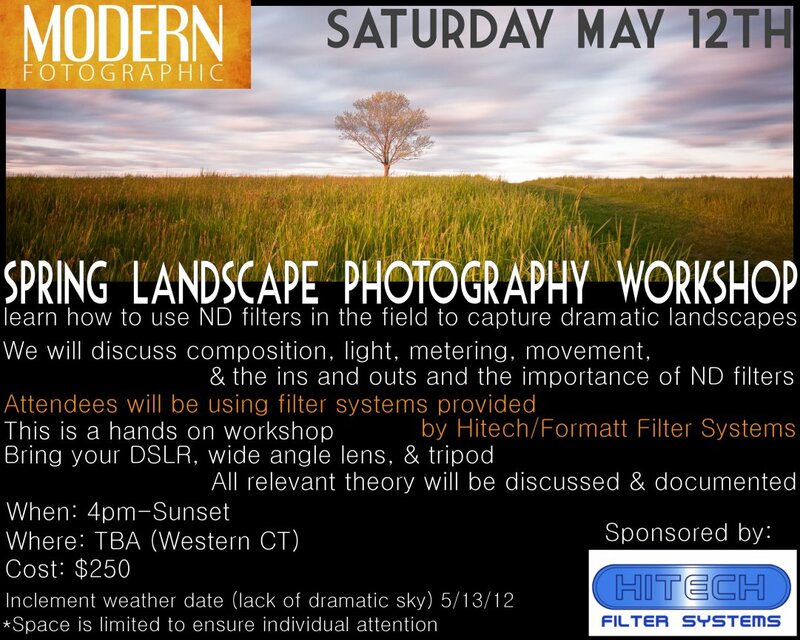 The workshop will be a huge hit! 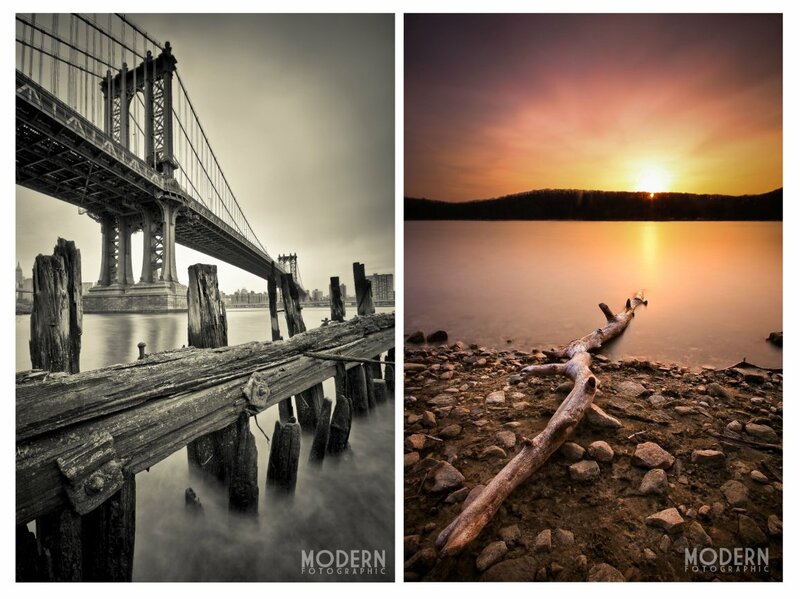 Edith Levy - Terrific tutorial and stunning images. jaycee crawford - awesome article - and very useful too - thanks!!! Airen - Fantastic and informative. Much Better than HDR!